All goods, which require crane, bobcat, Dockers, e.g. 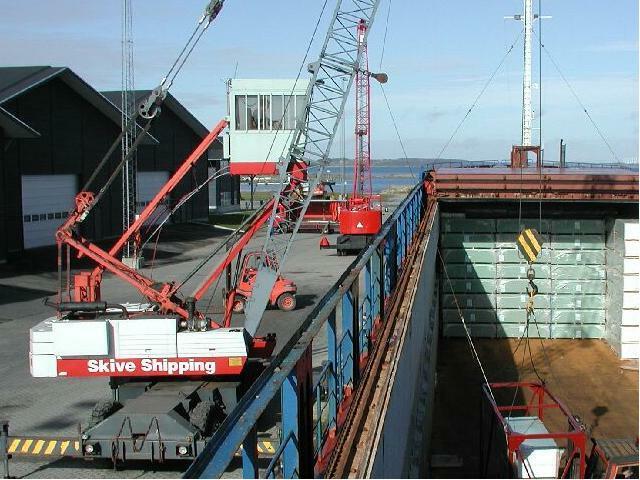 in order to be loaded or discharged at Skive Harbour are handled by our stevedore department. 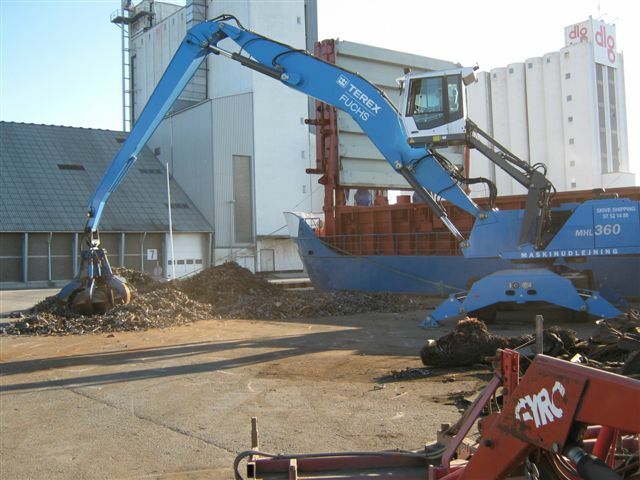 Amongst others we dispose of our own harbour cranes, Fuchs MHL 360 and PPM 32.01. 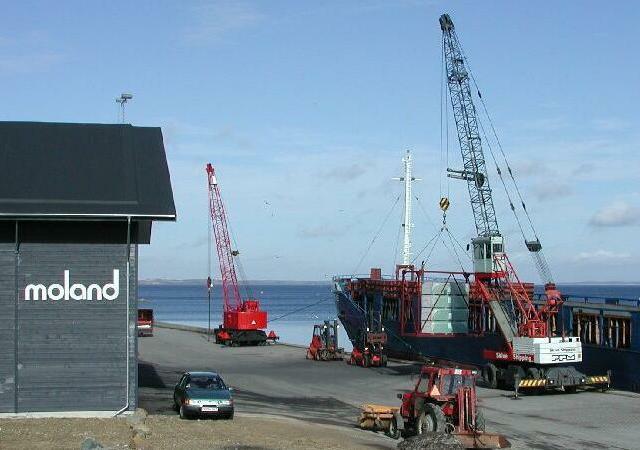 Skive harbour has an annual turnover at about 100.000 tonnes. Skive Harbour helps local grain- & and feedstuff companies handling fertilizers, grain and feed stuff. We also discharge wood pellets to the local district-heating factory. The wood pellets are discharged unto lorries. The lorries bring the pellets to the factory placed about 4 kilometres from the harbour. Paletized cargo are regularly handled at Skive Harbour this cargo is discharged with our crane and with one truck in the hold. The pallets are discharged with help from a special constructed unit, which can lift four pallets a time. Skive is also loading port for a local re-cycling company who loads scrap at the harbour. 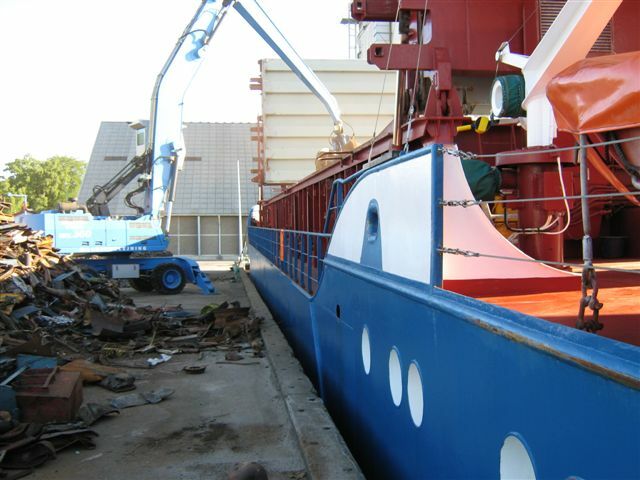 The cargo is loaded onboard the vessels by our Fuchs crane equiped with a polyp grab.